Vijayawada, January 29th: The well known Komaravolu Sri Amaralingeswara Durga Nageswara Swamy Temple is recently taken over by Vijayawada Sri Durga Malleswara Swamy Temple. 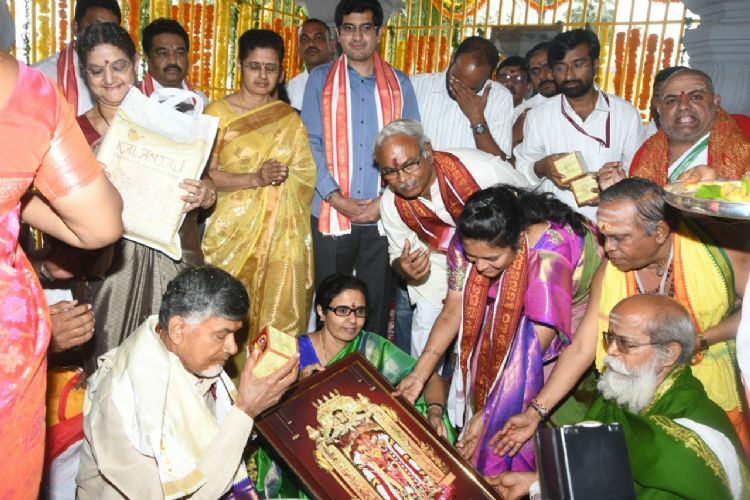 Andhra Pradesh Chief Minister Chandra Babu Naidu visited the Temple on Sunday morning with family. The Endowment Department took initiative to develop the historical temple at Komaravolu in Pamarru mandal of Krishna District.